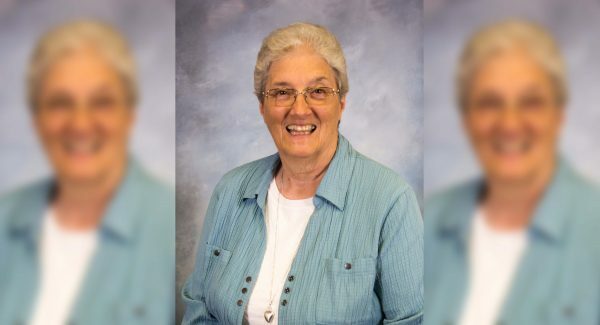 Sister Frances “Fran” Schumer has not only fulfilled the Adorers of the Blood of Christ (ASC) mission through her ministry but also in many other ways throughout the Newman community. The U.S. ASC order, rooted in the Gospel of Jesus, are ecclesial women, living in community, witnessing God’s love in mission to empower others, foster oneness, celebrate life, form right relationships and walk as compassionate companions. Schumer originally joined the ASC 53 years ago in Ruma, Illinois. She continues to serve as the executive director of ASC Health for St. Louis and is a member of the Community Life Chain at the ASC Wichita Center. In the past year, she’s become an active volunteer on the Newman campus. Between 2006 and 2012, Schumer served on the ASC leadership team for the U.S. 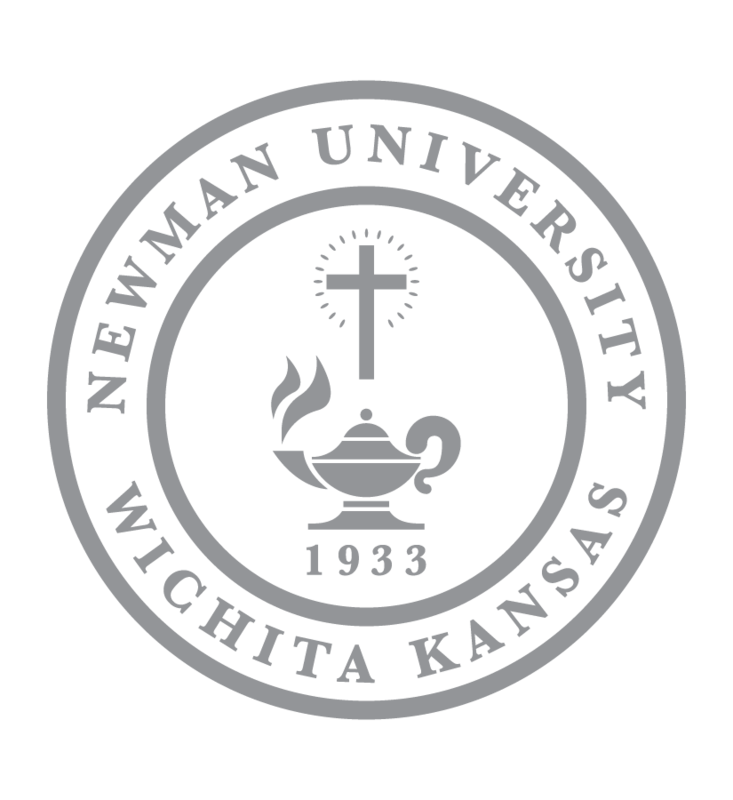 Her roles and responsibilities included monthly trips to Wichita and it wasn’t long before she found a second home at Newman University. 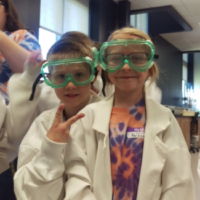 Schumer’s newfound love resulted in her decision to move to Wichita three years ago, and since then, she has continued her ministry as a member of the ASC community. When some time developed in her schedule, Schumer decided to use it by volunteering at Newman. Registrar Emeritus Shirley Rueb said Schumer has spent the last few months assisting primarily with filing and shredding. 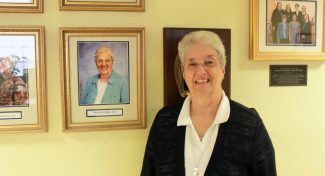 The second floor of Sacred Heart Hall features framed photos of ASC sisters whose work and involvement on campus have impacted the Newman community in some way. Schumer’s photo is the newest addition among the seven others who have been recognized for their contributions. Sr. Schumer stands next to her photo in Sacred Heart Hall. 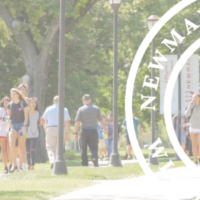 One of the stand-out aspects of being involved at Newman is the opportunity to talk with and get to know the students, Schumer said. “I’m always so impressed with them,” Schumer explained. 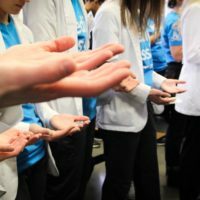 “The caliber of students, the desire they have to really want to make a difference in the world — it’s what we and our mission is about as Adorers. Schumer explained that, at one point in her life, she had what she refers to as a Messiah-complex. “I was going to save the world — forgetting about the fact that Jesus Christ had already done that and I didn’t need to reinvent that,” she said. Many of Schumer’s work roles were considered hands-on, whether it be teaching in schools or working with children who were emotionally or behaviorally disturbed. When her skills, talents and call in the community led to more management-style positions over time, she said she struggled to accept the shift. Schumer currently oversees three long-term care facilities and continues to visit them on a regular basis. 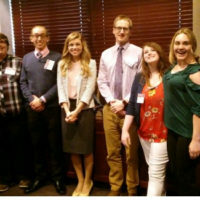 The care ministries include Villa Maria in Mulvane, Kansas, St. Joseph’s Vallencourt in David City, Nebraska, and a large continuing care facility in Columbia, Pennsylvania. “I may not be the one that’s providing care to the staff that is there, but yet hopefully I can be an encouragement and can, in a sense, walk with them as they provide that healing touch to the elderly and those in their last years of life,” she said. Little things with Great Love, Sr. Schumer!